The Australian FX-Superbike Championship is a national series covering 6 rounds, starting in mid March and ending in early November. 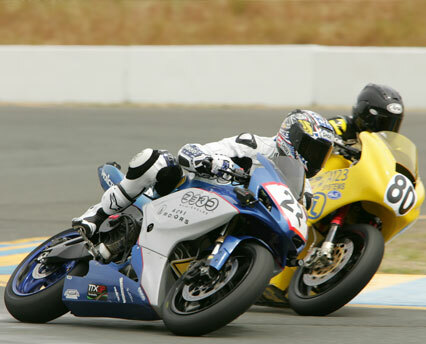 In 2011 they will partner with TTXGP to include electric superbike racing for the first time creating an Australian national e-championship. Running to the TTXGP Rule book and incorporating both the TTXGP and TTX75 classes, the new eFX Championship will be an exciting addition to the TTXGP family. Australia has a very active EV community so we are sure to see thrilling racing on innovative platforms. Commenting on the partnership Azhar Hussain, Founder and CEO of TTXGP said "we are very excited to be working with ARTRP and help launch a new national electric championship. eFXC/TTXGP will be a fantastic opportunity for anyone wishing to join the growing group of EV racers as well as sponsor a new, exciting, high profile race series. ARTRP is both pioneering and hugely successful; they make an ideal partner for TTXGP to work with and help nurture a fast growing electric race series." Terry O'Neill the Managing Director of ARTRP (series promoter) comments "We are very excited to be part of the expanding world of TTXGP electric motorcycle racing. We have always been involved in innovative ideas to further motorcycle racing in Australia, we started by having the first motorcycle carbon neutral racing events in the southern hemisphere and now by encouraging the local EV patrons to get involved building and racing motorcycles." "It seemed logical to be partnering with TTXGP and having spent a long time discussing with Azhar, our and his visions, the decision was simple"
The series will be nationally televised on the very popular free to air SBS Speedweek and also on the Fox cable network as well as be distributed with all TTXGP programming across the world. The TTXGP World Series will also be available in Australia. eFXC/TTXGP winners will be invited to attend to the TTXGP World Series Final 2011 for a chance to become TTXGP Champions 2011.